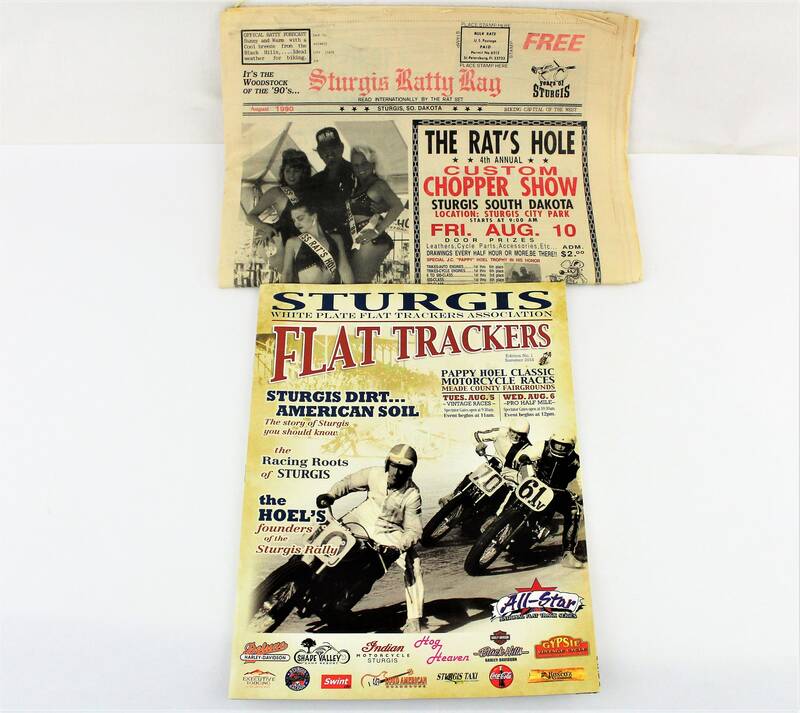 We have for sale two very cool publications from the Sturgis Motorcycle rally. 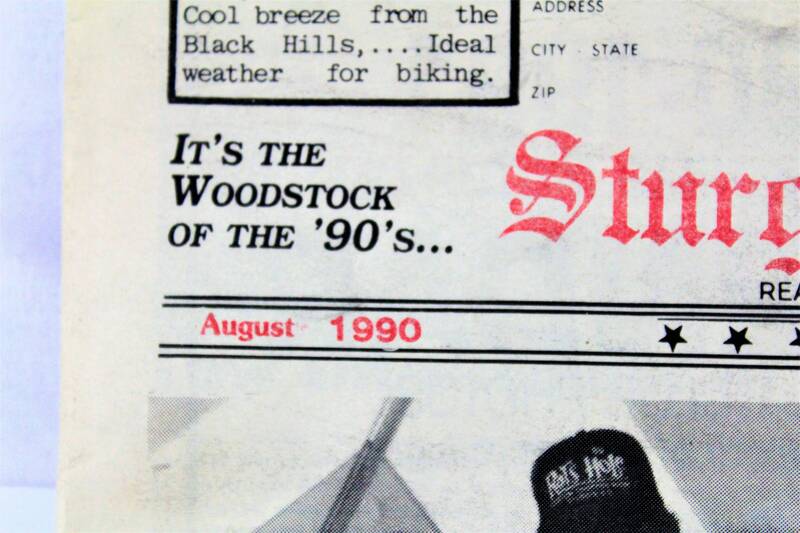 The first is a vintage Sturgis Ratty Rag edition from the 1990 50th anniversary. There are 28 pages of authentic rally nostalgia captured in pictures and stories. 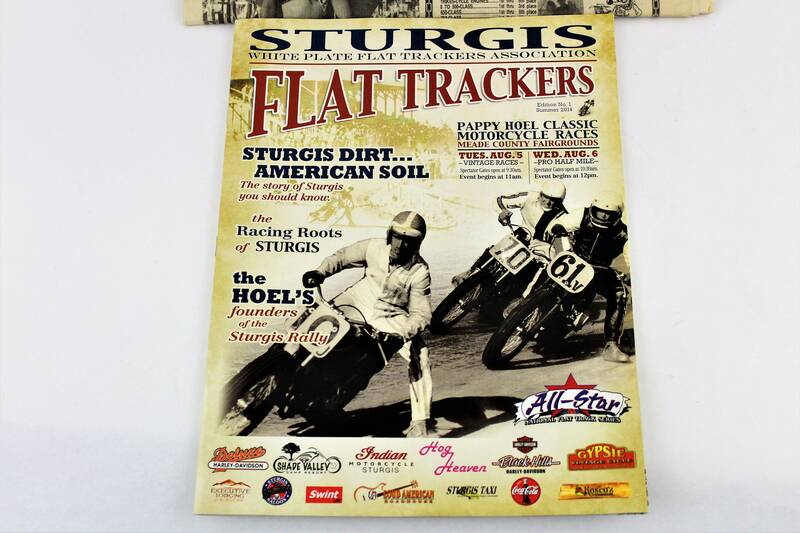 The second we are throwing in for free is a 59-page Sturgis Flat Trackers magazine. 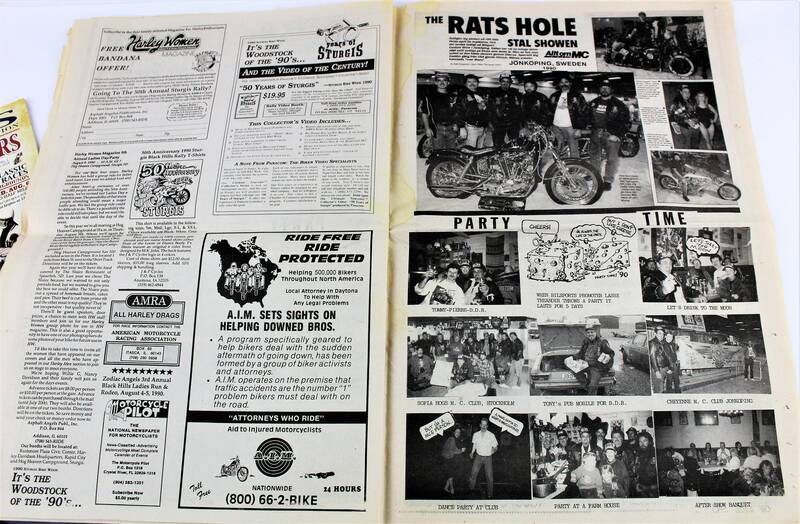 Both have articles and references to Clarence “Pappy” Hoel the founder of the Black Hills Classic stunts and races. Hoel was inducted into the AMA Hall of Fame in 1998. 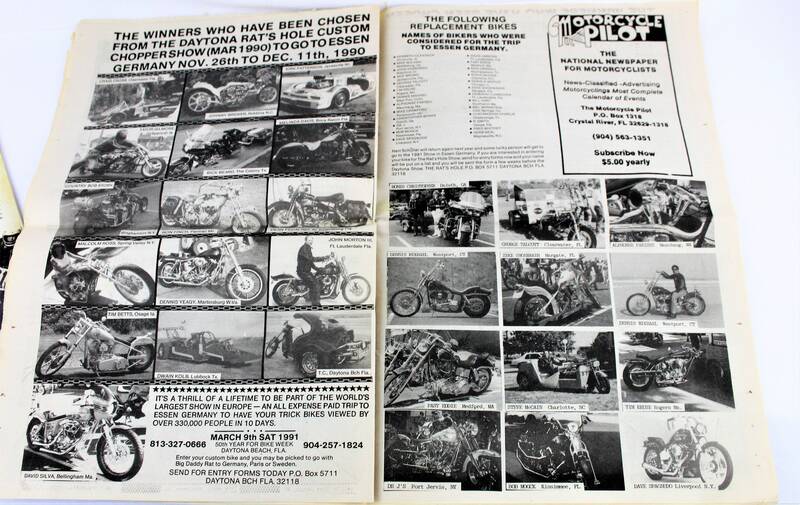 Would make a great gift for a motorcycle fan! Marked: as noted in the photos. Condition: Both publications are in good condition with some edge wear and folds. The magazine has slight rippling do to light water damage. No stray pencil or pen marks on either. Please see all photos as they are part of the description.